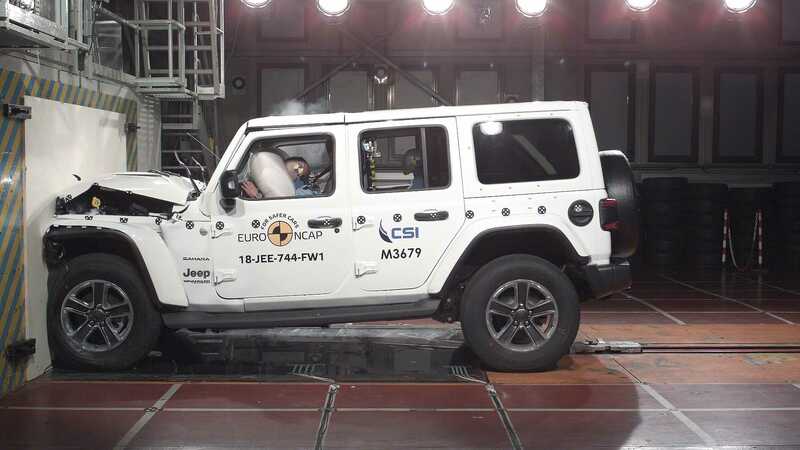 Jeep Wrangler scored just 1-star in Euro NCAP results, disappointing everyone in the era of technology where every brand is trying to bring 5-star safety to the passengers. The same league of tests brought 5-star ratings to Audi Q3, Volvo V60 and S60, Hyundai Santa Fe, Jaguar i-Pace, BMW X5 and Peugeot 508. Jeep Wrangler is an off-road car with capabilities surpassing most everyday SUVs. 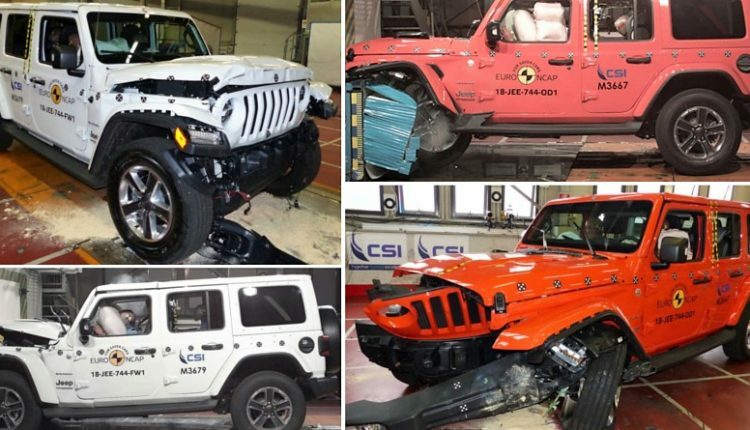 The 1-star safety rating takes Jeep away from the modern lineup of cars that use multiple sensors to avoid collision and much more. Fiat Panda, another vehicle considered for this test, scored zero stars and came out as the most disappointing vehicle in the batch. 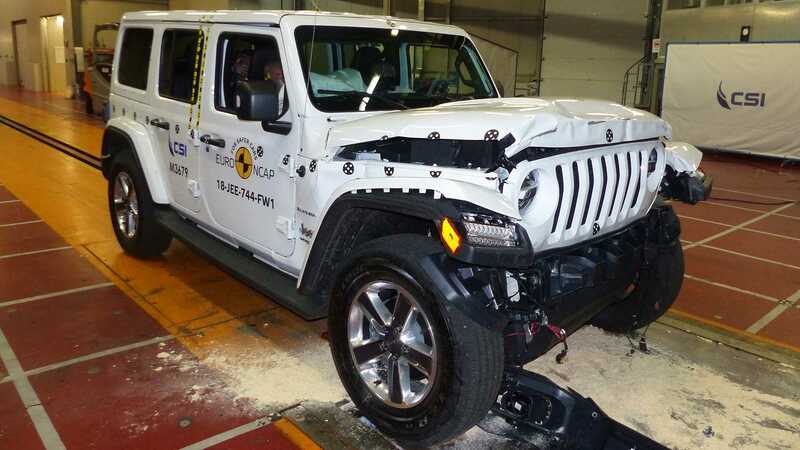 The 2018 Jeep Wrangler is available with front two and rear two airbags, saving the head section of passengers from both rows from touching the glass section. The safety package on Wrangler includes seat-belt reminder and manual speed limiter. Fiat Punto was the first car to bring zero stars in Euro NCAP in 2017 and Panda became the second product. Jeep is taking things lightly as lane keep assist and automatic emergency braking is not even listed under the optional model. The cars with five star ratings are also having certain limitations with them. Hyundai Santa Fe with optional panoramic sunroof saw airbag deployment and tearing problem for the side while X5 faced problem with knee airbag function. 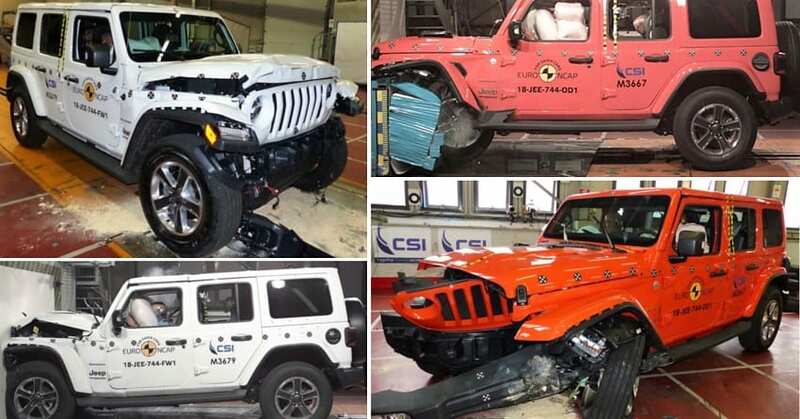 Jeep Wrangler looks huge in comparison to most cars with similar engine size but only size cannot absorb the amount of force that comes into action at the time of a collision. The car weighs over 2000 kg for the petrol and 2100 kg for the diesel engine variant. The car measures 4583 mm in length, carrying a wheelbase of 2947 mm in the Unlimited variant. The diesel engine on use is 2.8L while petrol available here is 3.6L V6.